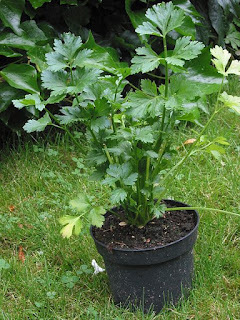 Apium graveolens is a plant species in the family Apiaceae commonly known as celery (var. 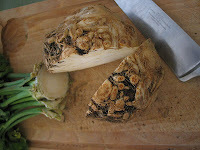 dulce) or celeriac (var. 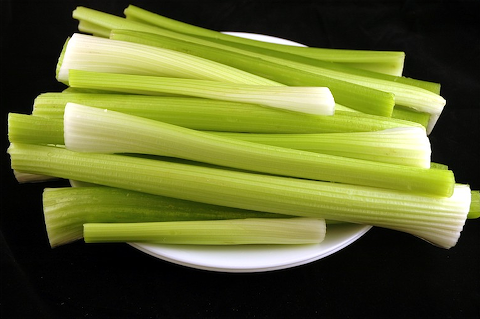 rapaceum), depending on whether the petioles (stalks) or roots are eaten: celery refers to the former and celeriac to the latter. Apium graveolens grows to 1 m tall. The leaves are pinnate to bipinnate leaves with rhombic leaflets 3–6 cm long and 2–4 cm broad. The flowers are creamy-white, 2–3 mm diameter, produced in dense compound umbels. The seeds are broad ovoid to globose, 1.5–2 mm long and wide. is also used as a vegetable. 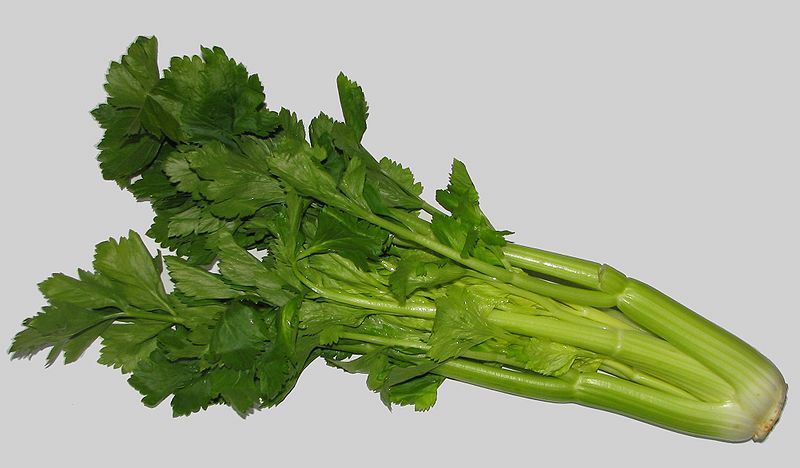 Head of celery, sold as a vegetable. 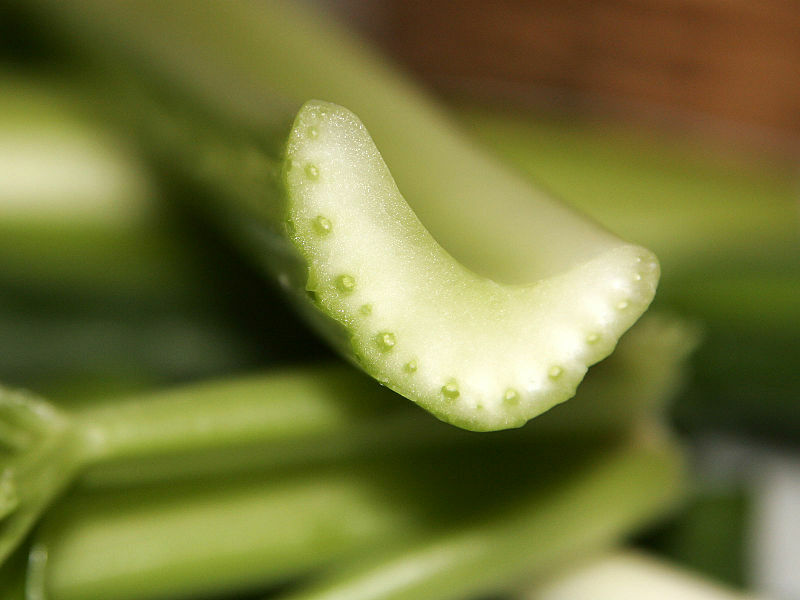 Usually only the stalks are eaten.